Four wheeling the state of Utah is pure fun. There are more places to explore and climb than any one person could ever get tired of. Many of the locations are part of national parks. Others are smaller, less known locations. All of them offer four wheeling fun in a truck or Jeep. Some of these places that are listed, are listed here for all four wheeling fans to check out. 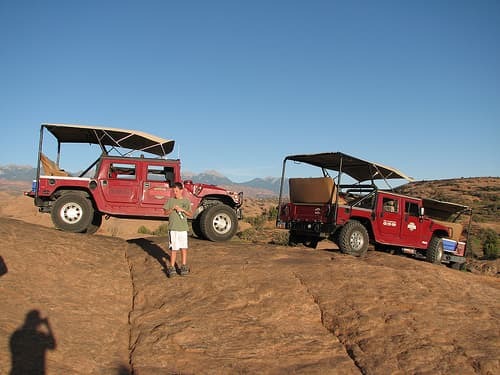 Each one offers a fun day in Utah for four wheeling and sight-seeing through some gorgeous landscapes. 3D Trail in Utah offers some gorgeous views through the trails. The rock formations are as good, if not better than the trails. Together, though, they offer excellent four wheeling fun. Located near Moab, this trail takes about three hours to cover and there is no state park fee. American Fork Canyon is accessible for a fee of $3 per vehicle. That grants one vehicle access to the park and a map of the ATV trails. It’s a fairly easy trail with water that does tend to flood a bit. The higher up you go on the trails, the more snow there is. In some cases, trails might be closed for safety. Arch Canyon is part of more treacherous trails for four wheeling. While that might excite some off road enthusiasts, it is worth mentioning that this trail is only for experienced four wheeling experts. If experience is in place, though, then this one of the best four wheeling experiences in the state of Utah. Caineville Wash Road is part of the state park system and requires a pass. Several options are available for different types of guests depending on his or her affiliation. Those guests, which do not have an affiliation can purchase regular day passes for $3 per vehicle. The trails are excellent for four wheeling. Some are closed from time to time due to the weather conditions for guest safety. 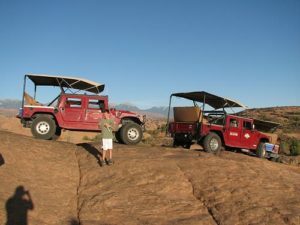 All of these trails offer a wonderful way to go four wheeling and explore the gorgeous state of Utah in a truck or Jeep. Each one a is a unique gem of the state. When the weather is bad, there are clear signs for all of these trails so the whole experience is not only fun, but safe as well.